The myth of the single-user device. In Apple’s ideal world, we’d all have our collections of our own personal devices—preferably Apple-branded. We’d never leave the house without our iPhone or our Apple Watch (or probably both); we’d sit down on the couch, browsing the web on our own iPads while binging the latest hot new show on our personal Apple TV. And for anything that might require it, we retreat to our personal MacBooks or iMacs. For some of us, this dream might be a reality. For others it sounds like a bit of a nightmare. After all, many of us live in households with more than one person. How many Apple TVs or iPads do we need, really? Yes, an iPhone or an Apple Watch is certainly a personal device, but why does that need to be the standard across the board? It’s time for Apple to accept that some of us share our devices. I know! The horror! How could we let anybody, even our nearest and dearest, get their grubby paws all over our beautiful slabs of steel and glass? Well, sometimes it’s about convenience, sometimes it’s about principle, and sometimes it’s just about saving a little money. But the sooner Apple accepts that fact, the sooner it can start making its devices more friendly to multiple-user households. Arguments abound over whether or not the iPad is really a “computer,” but in one way it definitely isn’t: this is not a device designed for people to share. 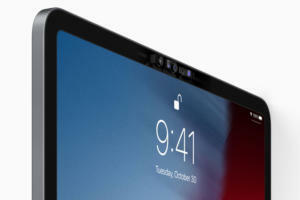 The True Depth camera and Face ID can be used to differentiate users on an iPad. Sure, it’s doable; you can pass your iPad to your significant other if they want to look something up on the web, or maybe even watch something on Netflix. But it very quickly becomes clear that they are merely a guest in someone else’s house. They can’t get their iMessages or their email (and they can access yours), they’re not logged into their social media accounts, and, most criminal of all, their Netflix viewing habits are going to muck up the algorithm’s suggestions for you. What the iPad needs in this case is nothing less than separate accounts, linked to separate Apple IDs and iCloud accounts, providing access to each user’s individual settings, apps, and media. Each user has a separate passcode to log in to their account or, better yet, on the new iPad Pro, it simply recognizes who you are via Face ID. Believe it or not, there’s actually precedent for this system on the iPad. Apple offers a multi-user Shared iPad system for educational use, providing different accounts so that any student can pick up an iPad and have it be their iPad. It would be great to see a similar system brought to all iPad users, and perhaps even combined with the Family Sharing features that users already have. That way you can manage not only which users can do what, but also enforce Screen Time limits so your kids don’t end up fighting over whose turn it is to play on the iPad. Apple’s smart speaker provides great audio, but on many of its other capabilities, it falls short of competitors. And, it won’t surprise you to hear, one of those limitations is that it doesn’t recognize multiple users. While I’m sure there are plenty of folks who live alone and are perfectly happy to have their HomePod work for them and them alone, many of us would welcome multiple users support. Another product that needs multi-user support: HomePod. Now, many of the HomePod features work fine for multiple users: anybody can set a timer, or ask for the weather, or (assuming someone’s Apple Music subscription is hooked up to it) play a song. 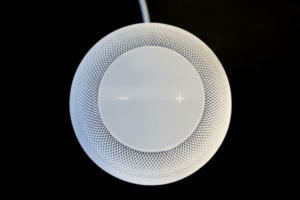 But when it comes to accessing calendars, or making calls, or sending or reading your iMessages, then it would be helpful for the HomePod to be able to handle that for more than just a single person in a household. At the same time, it would help ensure that other people in the house aren’t (by accident or on purpose) getting someone else’s personal messages. Admittedly, this is a harder problem than your conventional multiple user setup, given the relative lack of user interface, but given that the Hey Siri training feature on iOS devices already helps prevent other people from triggering the virtual assistant on your iPhone or iPad, it seems like that’s a good stepping stone on which to build more robust multi-user support. Plus, competitors like Amazon and Google are already offering this feature on their smart home speakers; it’s another place Apple could stand to follow the example of its rivals, and potentially even surpass them. 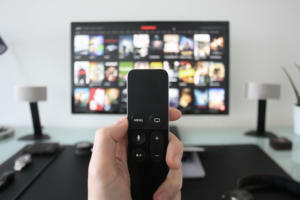 While you might have more than one TV in your house, you may not have them each assigned to one specific person. The same should be true of your Apple TV, and yet, the set-top box is intrinsically linked to a specific iCloud account—which means all of its apps are likewise attached to just one person. 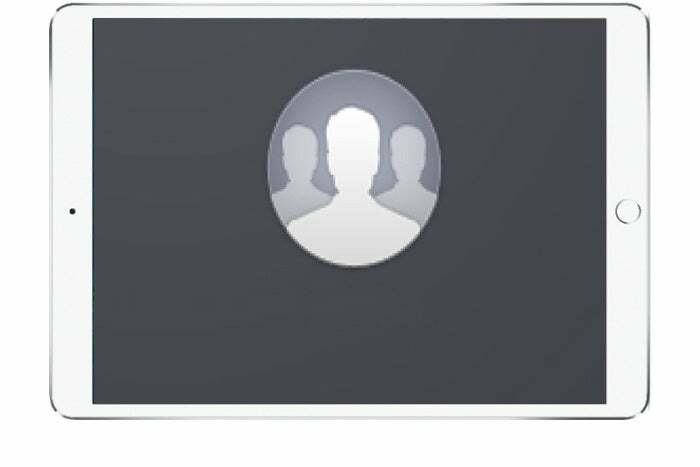 Apple TV is linked to a single iCloud account. Some services, like Netflix and Hulu, have made their own end-run in this case, allowing you to create multiple profiles on a single account, and that’s a great start, but it would be best if Apple were to embrace that philosophy throughout the entire tvOS. Then, for example, the TV app could allow us to track our watchlists separately from the other people in our households; after all, we don’t all watch the same things. And as on the iPad, it would be helpful to create a mode of the Apple TV that parents can manage via Family Sharing and Screen Time, making sure that the kids aren’t firing up the TV when they should be doing their homework. Different profiles could be protected by PIN codes or, if you want to get really fancy here, make that $59 Siri Remote earn its keep by building in a Touch ID sensor to recognize who’s using it. To Apple we might all be customers, but we’re not interchangeable cogs. The company should realize that we’re not necessarily going to go out and buy that slew of products for each person in our household and stop willfully ignoring the reality of how we use our devices.